Rest in peace Abbas; your legacy and images live on! His use of surrealism, layers, and depth in his photos. Variety of photos; some of them fun and cheerful, others heavier. His overall optimistic outlook on life, shown through his positive photos. The pure poetry of some of his images takes my breath away, via the minimalist compositions, and the use of epic light. His use of humor in his photos! 1. Don’t over-complicate photography; keep it simple! I know that some photographers have big egos, but photography is simple. In the morning, you put a roll of film in your camera—and today you don’t even have to do this with digital. You take to the streets, you come back home, edit your photographs and show them. It’s that simple. Don’t complicate photography. Keep it simple. Go out, enjoy your walk, and shoot and make photos! When you go home, choose your favorite photos, and then decide which to share/publish with others! Another option: Work on an extended photo series, and also work on your sequencing of images. 2. Do you write or draw with light? Photography can be writing or drawing with light. Which do you do? (you can do both). There are two ways to think about photography: one is writing with light, and the other is drawing with light. What are you trying to say with your photos? Every writer writes with a purpose in mind, or an idea they wish to to communicate to the viewer. What do you want to say with your photos? Get a good pair of walking shoes and… fall in love. The world may be color but black and white transcends it. Photography isn’t just about photographing the world as it is, but to make art which transcends reality! 5. Make stories of how you perceive events and the world! 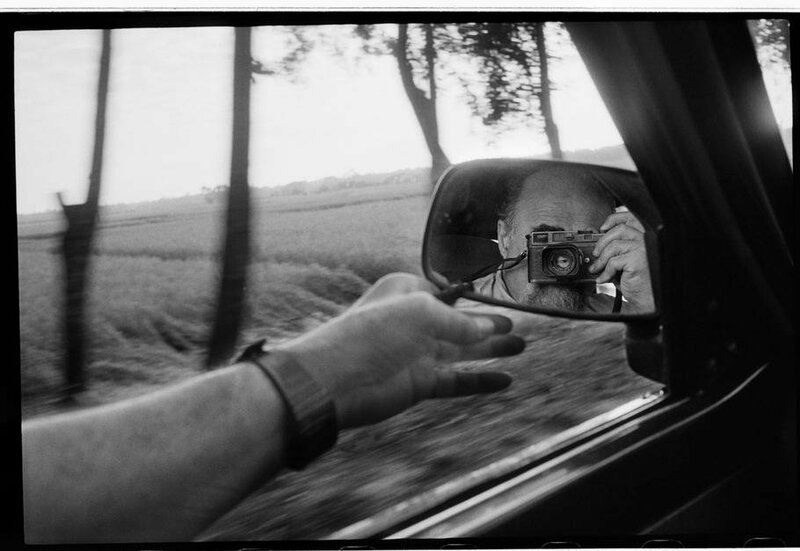 The choice was to think of oneself either as a photojournalist or an artist. It wasn’t out of humility that I called myself a photojournalist, but arrogance. I thought photojournalism was superior. The roots of Magnum was photojournalism. But realize that photography is also art! Now I don’t just make stories about what’s happening. I’m making stories about my way of seeing what’s happening. There’s no objectivity in photography, even with “unbiased” photojournalism and photography. Write your own truths with your photos. > “My photography is a reflection, which comes to life in action and leads to meditation. Spontaneity – the suspended moment – intervenes during action, in the viewfinder. What I’m interested in is not only the personal belief, it’s what people do in the name of God — sometimes the great things, and sometimes the stupid and violent things they do in his name — that’s more interesting to me. Dear friend, if you haven’t heard the exciting news already– MASTERS is now available as both a digital and print edition! Timeless wisdom from the masters of street photography. Why Study the Masters of Photography? For more inspirational free resources, join ERIC KIM NEWSLETTER and be the first to get exclusive content, access to books, presets, and new upcoming workshops.